The Datsun redi-GO GOLD 1.0L’s prominent gold inspired decals on the exterior together with gold-themed seats in the interior, infuse an extra dose of style to the car. It is available in three body colours: Grey, Silver and White. Datsun redi-GO GOLD 1.0L, comes with a first-in-segment Ambient Lighting app for mobile phones with which a customer can choose the mood lighting of the passenger cabin to suit his or her taste. The limited edition model is available on the T (O) trim level, with smart features such as Bluetooth audio system, and a reverse parking sensor, among others. 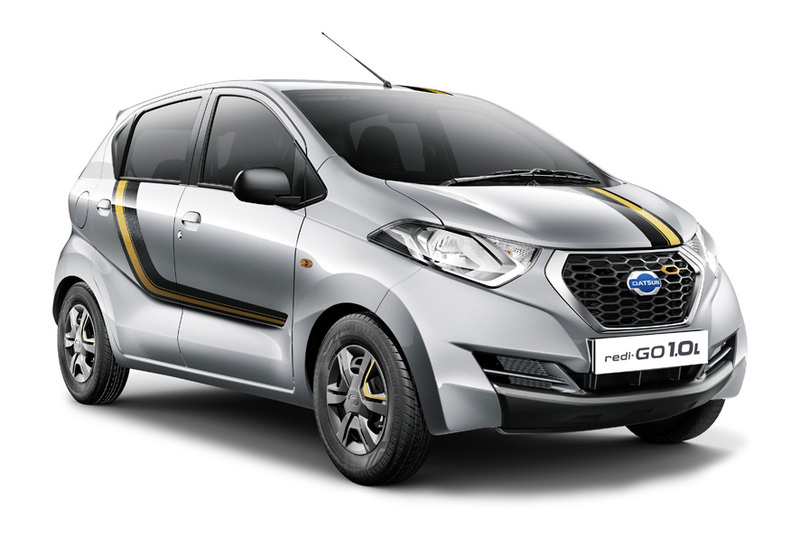 The Datsun redi-GO GOLD limited edition is powered by the Intelligent Spark Automated Technology (iSAT) 1.0L three-cylinder fuel efficient engine, paired with a five-speed manual transmission, to enhance the driving experience. It combines the roominess, agility and efficiency of an urban hatchback with best-in-class ground clearance (185mm) and high seating position. It also features other best-in-class features such as excellent front visibility, ample shoulder and rear knee room, in addition to brisk acceleration thanks to more power coming from the new engine. Customers can get more details about the Datsun redi-GO GOLD 1.0L on the “Datsun India App” which can be downloaded from the Google Play store.